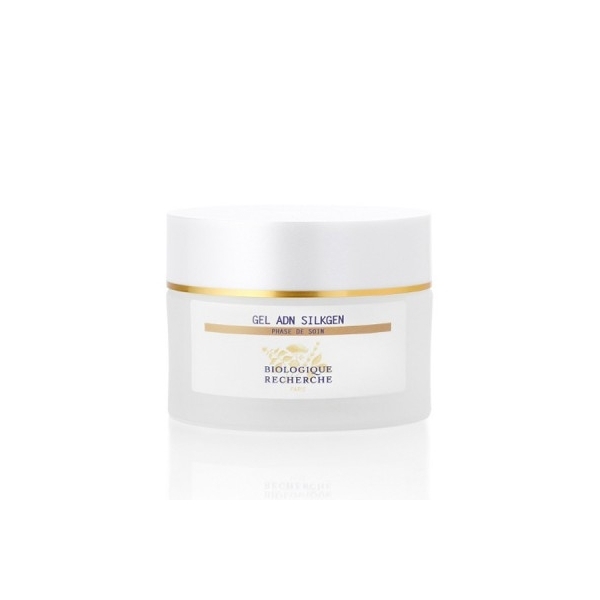 Gel ADN Silkgen is a moisturizing gel combining DNA and Restructuring Amino Acid Silk proteins to preserve hydration. It brightens the skin and gives it a silky smooth feeling immediately! Best for frequent travelers, people exposed to harsh or extreme climates, or for use after plastic surgery. This fresh, moisturizing gel is made with an innovative formula combining DNA and Restructuring Amino Acid Silk proteins that preserves the epidermal hydration. Apply Gel ADN Silkgen over all the face, neck, cleavage and eye area after previously using the recommended Lotion P50 and a choice of Quintessential Serums. Use in an intensive one month treatment course or once or twice a week as preventive treatment.